We Are Now Hiring! Apply Now! We are now hiring for Roll-Off Driver, Loader Operator, Mechanic, and Administrative Assistant. Apply in person or online! Whether your project is large or small, our fast and reliable dumpster service will keep your job site clean and running smoothly. We have a number of different size roll off dumpsters ranging from 10 to 30 cubic yard dumpsters. Located in Chicago, our material recovery facility accepts, sorts, and process mixed loads of construction debris every day. 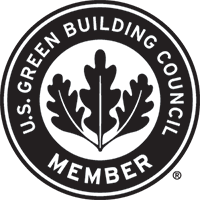 Introduced in 1999, the Leadership in Energy and Environmental Design (LEED) Green Building Rating System helps building owners, developers, architects, engineers and general contractors improve the quality of their buildings and their impacts on the environment. Recycling construction and demolition material is our business. The process starts at the job site. 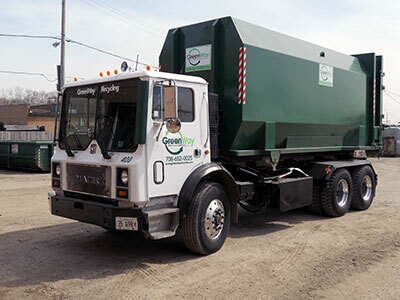 Whether your project is large or small, our fast and reliable dumpster service will keep your job site clean and running smoothly. Our Chicago material recovery facility accepts, sorts, and process mixed loads of construction debris every day. GreenWay operates a construction and demolition material recovery facility located at 2100 S. Kilbourn Ave in Chicago. At this location we accept, sort, and reclaim recyclable materials from the waste stream. We are open to the public daily, Monday thru Saturday. Do you have Cardboard, Paper, and Plastic Recycling? GreenWay makes it easy for you to drop off your cardboard, paper, and plastic materials at our recycling facility located at 2100 S. Kilbourn Ave in Chicago. We accept loose or baled material and the best thing about dropping your material off is you can get paid on the spot! Are you recycling with us for the first time? 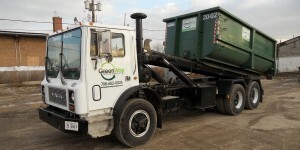 Greenway Recycling Services is conveniently located at 2100 S. Kilbourn Ave in Chicago. Please pull your vehicle onto the scale located on the south side of the property. Check in at the window for site instructions. Learn more about our facility here. For more information please contact us or call anytime at 773-522-0025. Call GreenWay at 773-522-0025 for your FREE estimate today! Or, click the button below and we will respond to you within 24 hours. Call 773-522-0025 today for your FREE estimate! Make sure your next project has a positive environmental impact though LEED Green Building certification AND enjoy the cost saving benefits of skillful recycling. All content copyright © 2019 · GreenWay Recycling Services, LLC. All rights reserved.